When I first began studying journalistic use of drones in 2012, I would often be on the receiving end of quizzical looks. Back then, most everyone thought of drones in military contexts, as the Federal Aviation Administration had only recently begun work to determine how to incorporate civilian drones into U.S. airspace. If I told people I could see drones being used in all sorts of reporting – from covering the wake of a tornado to measuring water quality and supply – I seemed to sound more sci-fi than newsroom. Fast forward five years, and my research doesn’t seem quite so futuristic anymore. With Amazon hoping to develop drones to deliver packages, and small drones emerging as a hot holiday gift, these Unmanned Aerial Vehicles are now part of the public consciousness. As civilian drones develop into a $100 billion industry, journalism is only a small piece of the puzzle. But it is an absolutely critical piece. All of the legal and ethical aspects of drone use in journalism pose key questions for news organizations’ and individual reporters’ relationships with the public they’re supposed to serve. This research exploring citizens’ responses to drones in news fits with one of the key priorities of the Center for Journalism Ethics. We see ourselves as a bridge between academic research that can inform journalistic practice, industry practitioners and citizens who both depend on and are directly affected by news. We hope that richer understanding of how the public conceives of drone use in news will open doors and illuminate ethical practice. When the University of North Carolina won the college basketball championship in April 2017, excited fans rushed the streets of Chapel Hill, and eager drone operators launched into action. Some who flew commercially – trying to capitalize on the thrill of victory and sell footage – clearly ran afoul of Federal Aviation Administration rules in place at the time for use of Unmanned Aerial Vehicles. They flew at night. They flew over people not associated with the drone flight. And they did not maintain line-of-sight control of their UAVs. One even flew into fireworks launched above the crowds. Of course, these operations raised safety concerns. But when some news media used such footage in their coverage, they raised questions for journalism ethics, as well. As UAVs are coming into focus as a useful, affordable and legal tool for newsrooms, ethics surrounding their use must crystallize at the same time. Uses of new technologies such as UAVs have potential to improve reporting and serve the public interest. But they also have implications for journalism’s relationships with citizens, including matters of safety, privacy, news judgments, transparency and accountability. The Center for Journalism Ethics conducted a national survey to explore citizens’ opinions of civilian uses of drones, including in news reporting and production. Results show that members of the public are open to drone uses in some cases, but are also seeking avenues to shape the norms of news. Congress set the FAA on breakneck pace to develop rules and guidelines for civilian uses of drones when it passed the FAA Reform and Modernization Act of 2012. Expected to expand in size and scope dramatically over the next decade, the UAV industry could be a $100 billion concern by 2020, according to some analysts , with commercial and civil government uses driving growth. Civil government uses include law enforcement, surveillance and emergency response while civilian applications span a wide range from advertising production to golf course management. With clarity on the parameters of UAV flight, newsrooms are now free to explore drone flight in reporting, providing they operated within the rules and with a Part 107 certificate. The expansion of reporting capabilities using new these new technologies comes at a fraught moment in American journalism. News outlets face broken business models that have led to historic contractions in the new labor force. Public trust in news media to report fairly and fully has dipped to its lowest levels since measurements began. And new players with access to digital channels are finding significant audiences but often rejecting the ethical norms that have developed and guided traditional news reporting over the last century. In some cases, this is leading to new and powerful examples of advocacy or explanatory journalism, but in others, it’s enabling a loud and disruptive sphere of hyperpartisan argument, conspiracy theory, hoax and other mis- and disinformation. Set against this tumultuous backdrop, the Center for Journalism Ethics sought to explore public support for use of drones by newsrooms and individual journalists. This builds on prior academic research, which tended to focus almost entirely on news workers using UAVs and not on those who are being observed or consuming drone coverage. The Center for Journalism Ethics conducted a survey of 539 adults living in the United States using an online questionnaire. The survey was conducted between July 6 to 15, 2016, using a pool of adults provided by Survey Sampling International. Participants were asked to fill out a 20-minute survey from their computers, tablets, or mobile devices. Participants were paid for their participation through an agreement with SSI. The average annual salary of participants was between $50,000 and $59,000. The average age was between 35 and 44. And, the average participant had a 2-year post-secondary degree. We created several variables by averaging the answers to multiple questions. All questions were asked on scales of 1 to 5, where 5 indicated more support or stronger agreement. Trust. Trust in media was an average of four questions like “I trust the news media to choose appropriate topics to cover.” These questions were designed to measure how much trust a person has in news media. Value. Value of journalism was the average of three questions like “Journalism is important for democracy.” These questions were designed to measure a person’s perceived value of news media. Ethics. Perceived ethical behavior of journalism was the average of eight questions like “How well do most news media organizations do at meeting the following goals?-Seek the truth and report it.” These questions were designed to measure how the person thinks the media does at following its own ethics guidelines. Openness. 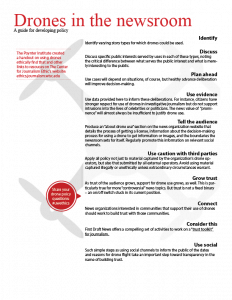 Perceived journalism openness was the average of two questions including “News media are open to public feedback.” These questions were designed to measure how the person thinks the media engages with the audience. For much of the analysis, we split the respondents into a high and a low group along the mean of each variable. 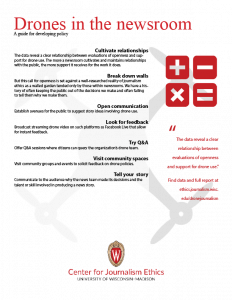 Specifics about these variables and their statistics can be found here. Survey questions can be found here. Respondents were close to neutral in whether they trust most news media to responsibly use UAVs in newsgathering, but more trusting when the question is phrased as “some” news media rather than “most” news media. This aligns with other research showing trust levels rising when focusing on news media people choose versus the news media in general. Respondents also do view drones as important tools in reporting, though not overwhelmingly so. Respondents did not support use of UAVs in journalism more or less than other civilian uses. 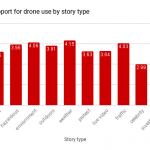 Varying types of news stories affects support for drone use in journalism. Respondents viewed drones in news more positively when reporting involved issues and events more than when it involved prominence. Support broke into roughly three tiers. As expected, trust in news media relates to belief that news organizations will use drones responsibly in news gathering. 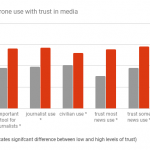 Those who have higher overall trust in the news media support drone use by journalists more than those who have low trust in news media. When we break support for drone use down by story type, this trend continues. We find that especially when overall support for covering a topic with drones is low, those who have high levels in trust feel more comfortable with drone coverage of the topic. In the story topics in the bottom tier, those with high trust expressed almost a full point difference in support for drone coverage of those topics. We see a similar relationship when we look at those who highly value journalism and those who place a low value on journalism. UAV support also increases among respondents who more highly value journalism. These differences rise to a level of statistical difference across all story types . Together, these two findings suggest that those who have a strong relationship with news media will be more receptive to newsrooms that adopt drones to aid in newsgathering. 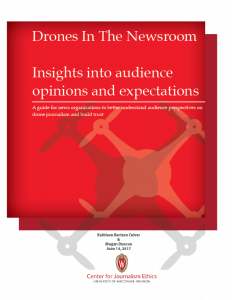 Further, it suggests audience members who trust the news media will be more eager to see drone journalism used more extensively across the news agenda. 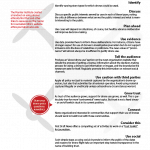 Recent research suggests a relationship between trust in news media and evaluation of news media ethical performance. Here, we find that those who perceive the news media as more ethical support the use of drones in journalism and consider it an important tool for journalist more than those who perceive low levels of ethical behavior. 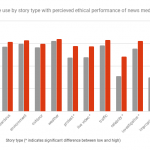 When we look at perceived ethical behavior by story type, we find that the perception of ethics doesn’t matter for “soft” news stories like traffic, weather, outdoor features, or stories on the environment. The level of perceived ethical behavior does matter in “hard” news such as crime, investigative or protest. Again, we find the difference between those who perceive high and low levels of ethical behavior is especially extended for stories about celebrities or impropriety. Findings suggest the perceived that the degree to which people see the news media as open to their audience likewise is linked to support for use of drones. Here, this relationship is significant in each news story category, so that those who believe journalists are more open to the audience have higher levels of support for drone journalism. A good deal has been written about legal and ethical concerns involved with drone use in journalism. 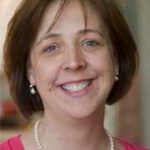 The Center participated in and recommends safety-focused guidelines available through the Poynter Institute for Media Studies. In addition, these survey results suggest specific approaches newsrooms can adopt to focus on increasing trust and openness and thus building support for public acceptance of drone use in news. Identify varying story types for which drones could be used. Discuss specific public interests served by uses in each of these types, noting the critical difference between what serves the public interest and what is merely interesting to the public. Use cases will depend on situations, of course, but healthy advance deliberation will improve decision-making in subsequent situations. Use data provided here to inform these deliberations. For instance, citizens have stronger respect for use of drones in investigative journalism but do not support intrusions into the lives of celebrities or politicians. The news value of “prominence” will almost always be insufficient to justify drone use. 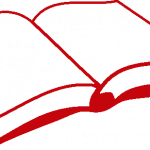 Produce an “about drone use” section on the news organization website that details the process of getting a license, information about the decision-making process for using a drone to get information or images, and the boundaries the newsroom sets for itself. Regularly promote this information on relevant social channels. 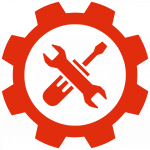 Apply all policy to material submitted by all external operators, not just to material captured by the organization’s drone operators. Avoid using material captured illegally or unethically unless extraordinary circumstances warrant. 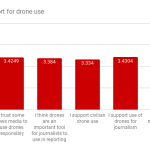 As trust of the audience grows, support for drone use grows, as well. This is particularly true for more “controversial” news topics. 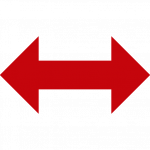 But trust is not a fixed binary – an on/off switch stuck in its current position. News organizations interested in communities that support their use of drones should work to build trust with those communities. 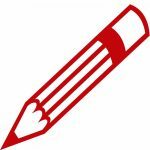 First Draft News offers a compelling set of activities in “trust toolkit” for journalism, and the links at the Trusting News Project are helpful. Such simple steps as using social channels to inform the public of the dates and reasons for drone flight take an important step toward transparency in the name of building trust. The data reveal a clear relationship between evaluations of openness and support for drone use. 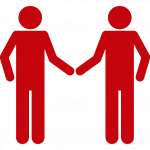 The more a newsroom cultivates and maintains relationships with the public, the more support it receives for the work it does. But this call for openness is set against a well-researched reality of journalism ethics as a walled garden tended only by those within newsrooms. We have a history of often keeping the public out of the decisions we make and often failing to tell them why we make them. Establish avenues for the public to suggest story ideas involving drone use. Broadcast streaming drone video on such platforms as Facebook Live that allow for instant feedback. Offer Q&A sessions where citizens can query the organization’s drone team. 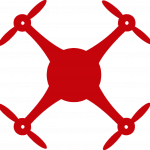 Visit community groups and events to solicit feedback on drone policies. Communicate to the audience why the news team made its decisions and the talent or skill involved in producing a news story.